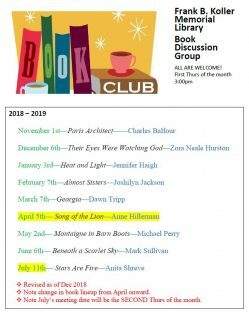 The Book Discussion Group will meet on Thursday March 7th, 2019 at 3pm to discuss Almost Sisters by Joshilyn Jackson. Since the February meeting was canceled due to weather conditions, this popular book will be discussed in March instead! If you didn’t have time to read it, now is your chance. Signing up, creating content, growing your audience and advertising. Presented by Jess Reidy from Social Siren Marketing. The Book Discussion Group will meet on Thursday February 7th, 2019 at 3pm to discuss Almost Sisters by Joshilyn Jackson. Stop by the library to pick up your copy or place a hold. New members to the book club are always welcome! Postage HIKE! Buy Your Stamps HERE! 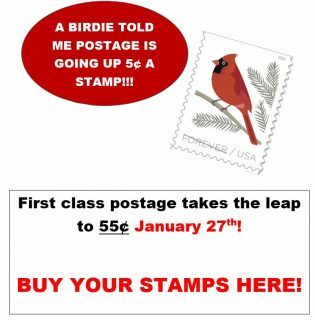 Postage is BOUNDING up to 55 cents a piece later this month. 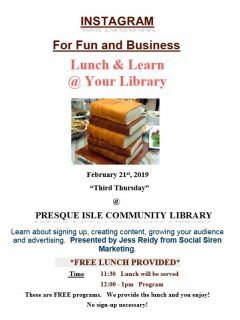 Buy your postage NOW at the library. 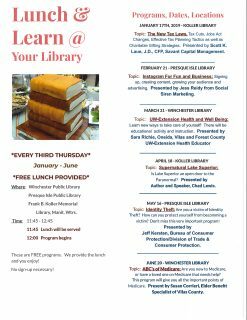 The third Thursday of every month Jan – June area libraries will have Lunch & Learn @ Your Library. Lunch will be served. These programs will be free and no sign up is necessary! 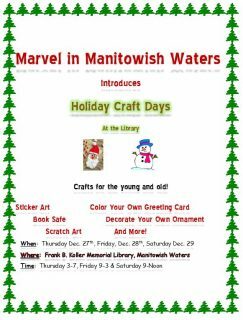 Crafts for the young and old!